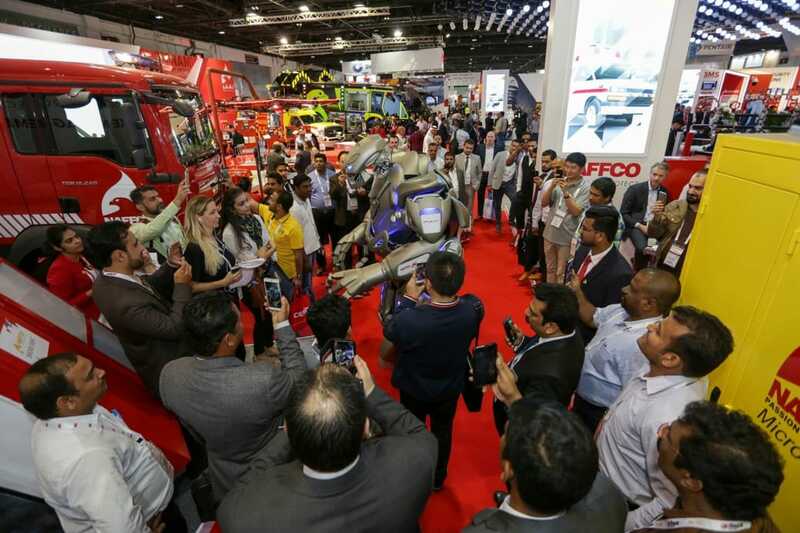 The latest trends in artificial intelligence and robotics in policing societies, along with major projects fuelling growth in the Middle East commercial security landscape, were among many talking points, as Intersec concluded its 20th edition in Dubai yesterday (23 January). 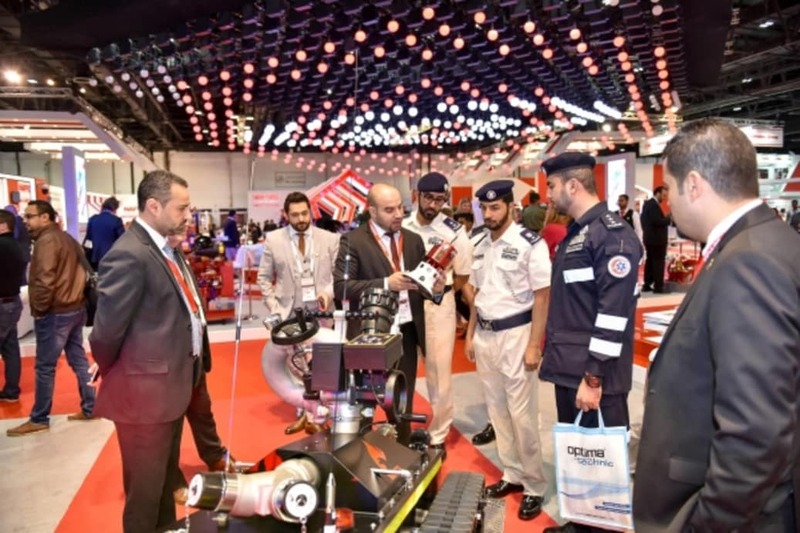 The world’s leading trade fair for security, safety, and fire protection featured 1,337 exhibitors from 59 countries, while 29,532 visitors from 129 countries stopped by the Dubai International Convention and Exhibition Centre. Sharing centre-stage were dozens of product launches, while live demonstrations of fire protection equipment and drones used across a wide range of applications kept thousands of buyers and industry professionals entertained and informed. The Dubai Police is one of Intersec’s long-standing Government Partners, along with the Dubai Civil Defence, Dubai Police Academy, the Security Industry Regulatory Agency (SIRA), and for the first time in 2018, the Dubai Municipality. This year from its exhibition stand, the Dubai Police had a strong focus on Artificial Intelligence (AI) and smarter technologies to keep residents, visitors, and communities safe. It also showcased Robocop prototypes and new smart services that are already in place in its fully automated smart police station, which recently opened in September 2017. Brig. Khalid Nasser Al Razooqi, Dubai Police’s Director General of Artificial Intelligence, gave an overview of the Government body’s vision toward using AI and robots in policing and protection. “The Dubai Police has a target to be the smartest police force in the world, and we’ve been working on a new strategy based on AI that will ultimately increase the happiness of our residents and build Dubai to be the safest city in the world,” said Al Razooqi. “We plan to use AI to help us not only reduce crimes, but increase our ability to predict potential crimes before they happen, along with reducing traffic accidents. We’ve introduced a crime prediction system as well as accident prediction system that can study the behaviours of drivers. Among the new features at the 20th edition of Intersec was an indoor Drone Zone, along with two dedicated conferences on Drones and Artificial Intelligence. Greg Agvent, Senior Director for CNN Aerial Imaging and Reporting, spoke at the Intersec Drones Conference about the potential uses for drones in information gathering. Agvent said that drones can be effective to not only deliver new perspective of journalism and reporting, but can also be important tools for data capture that can have much wider implications: “We’re still at the very beginning of acknowledging what drones can do,” said Agvent. “Right now, almost exclusively, we’re working with video, but what about thermal imaging and forward looking infrared, and what context and understanding can this add to a story? 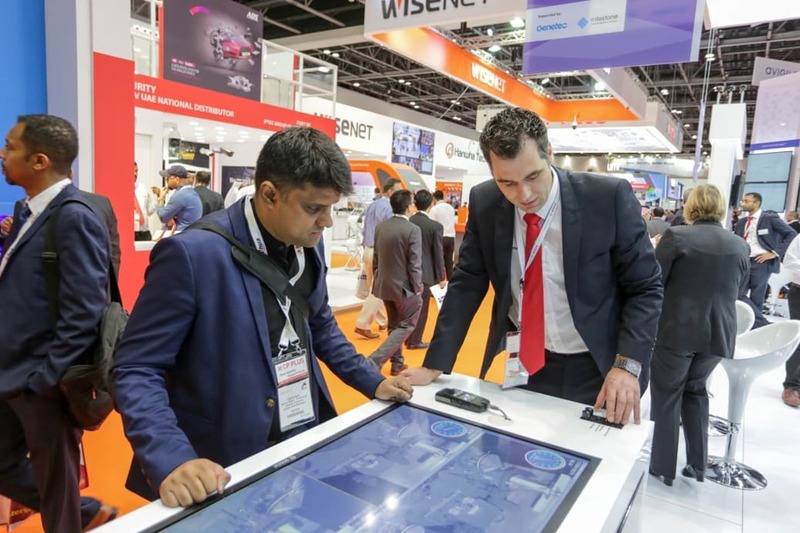 Agvent said that Middle East Broadcasters wishing to utilise drones need to engage with their respective civil authorities and manufactures, adding: “That’s what’s so important about events like Intersec. 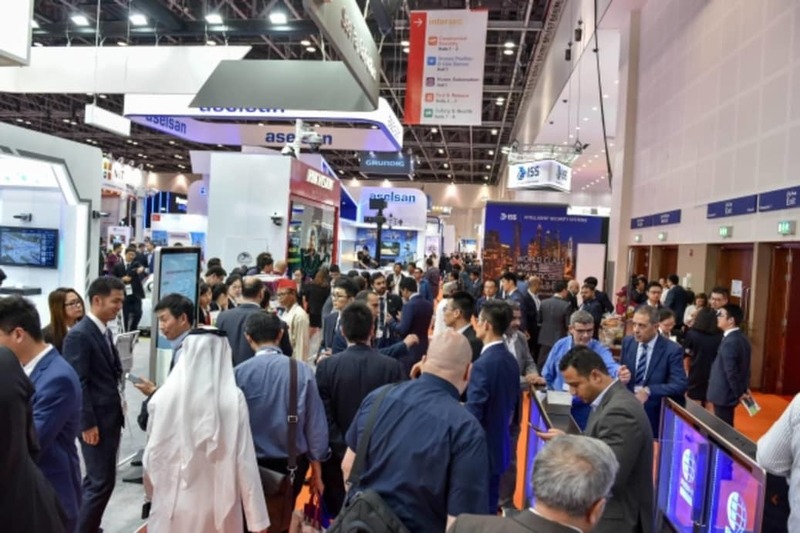 Organised by Messe Frankfurt Middle East, Intersec spans seven show sections of Commercial Security, Fire & Rescue, Safety & Health, Homeland Security & Policing, Information & Cyber Security, Smart Home & Building Automation, and Physical & Perimeter Security. With 483 exhibitors in 2018, Commercial Security represents the largest show section, and features two-thirds of the world’s top 50 providers of video surveillance, access control, intrusion detection, analytics, and video management software. Intersec has proved over the years to be a fruitful business platform for global leaders and industry start-ups alike. Korean company IDIS has exhibited for the past several years, and has watched its projects and partnerships in the Middle East expand significantly as a result of contacts established during the show. 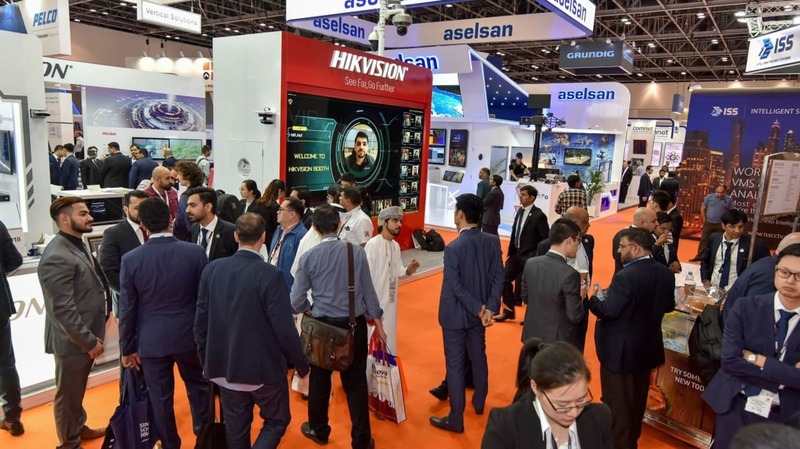 “We’ve expanded our partner network with many due to the success of exhibiting at Intersec from 2015 to 2017,” said Harry Kwon, General Manager for IDIS in the Middle East and North Africa. “We’ve established new end-user customers and struck up strategic partnerships such as with G4S in Egypt and Saudi Arabia as a direct result of Intersec, with a number of projects now complete or underway. “We were first introduced to Al Sulaiman Security Systems and Services (A4S) at Intersec two years ago and since then IDIS MENA has struck up a strategic alliance with A4S with the partnership paying dividends. Both companies are now working on 150 leads and ten live projects. And we’re thrilled to announce at Intersec 2018 our project with Al Sulaiman Jewellers, that comprises 100 IDIS camera solution across 18 branches as well as offices,” added Kwon. Meanwhile, Germany’s DoorBird was one of more than 30 companies in Intersec 2018’s fast-developing Smart Home and Building Automation section. A debut exhibitor in 2017, DoorBird returned this year to showcase the 2nd generation of its IP Video Door Station. Pierre Dinnies, DoorBird’s Key Account Manager said the 2nd iteration was developed specifically to handle extreme Middle East conditions, enabling users to access their home’s video intercom via their mobile device and DoorBird App anywhere in the world, in real-time. “Users can also programme DoorBird so that it automatically locks and unlocks at designated times, allowing access to homes if required, for example, cleaning or maintenance companies. Everything is recorded and it can be integrated with existing home automation and security systems, so the opportunities are endless. With 83 percent international exhibitor participation, Intersec’s global footprint was underlined by 15 country pavilions from Canada, China, Czech Republic, France, Germany, Hong Kong, India, Italy, Korea, Pakistan, Singapore, Taiwan, UK, USA, and for the first time in 2018, Russia. UAE participation was also high, growing six percent year-on-year, with 223 exhibitors covering 10,500sqm of exhibition space. Waleed Al-Mansour, Executive Manager for Security & Safety Corp in Saudi Arabia, was at Intersec 2018 to gain information about the latest firefighting and security alarm systems, along with CCTV products. Ahmed Pauwels, CEO of Messe Frankfurt Middle East, said: “Intersec 2018 has further cemented its position as the world’s premier trade platform of its kind for the security, safety, and fire protection industries. “We’ve had participation from the majority of the world’s foremost safety and security brands and attracted a wide representation of global experts and key influencers to our safety and security forums. Twenty years is a landmark for both Intersec and the region’s standing as a major global security market. Intersec is held under the patronage of H.H. Sheikh Mansoor bin Mohammed bin Rashid Al Maktoum. The 21st edition will take place from 20-22 January 2019.